Aargh! My love affair with New Zealand flaxes is officially over. We've broken up - well, some of my big Phormium Tenaxes have been, literally, with the axe, shovel and a sharp kitchen knife. I thought I loved my flaxes unconditionally! I spotted them at the nursery sale table, immediately adopted them, planted them lovingly, and watched them grow, with almost parental pride. 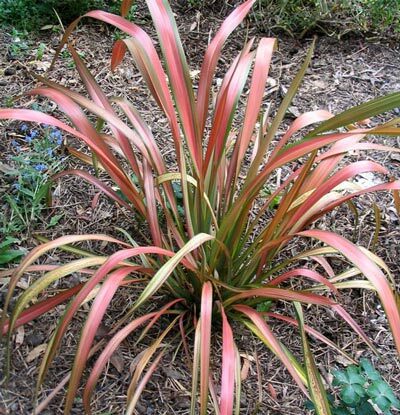 They have been the cutest, most colourful toddler plants, with beautiful red and pink stripes, shiny emerald spikes, creams and soft sage greens, or the colours of a good dark red wine. 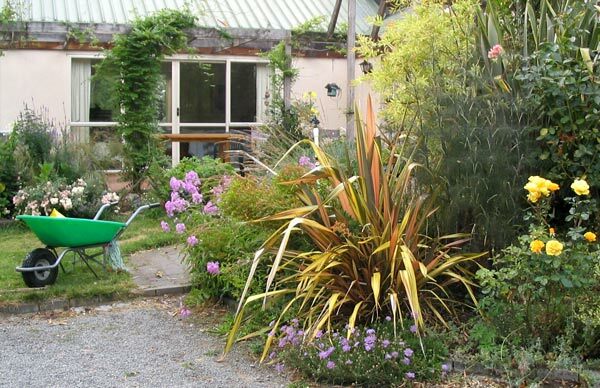 Just beautiful, for a lover of foliage plants. And they've had pride of place in the garden borders, too - right in the front row, by a curving corner, or next to a pathway. From what I understand there are two types of flax, from which all the hybrids are raised. 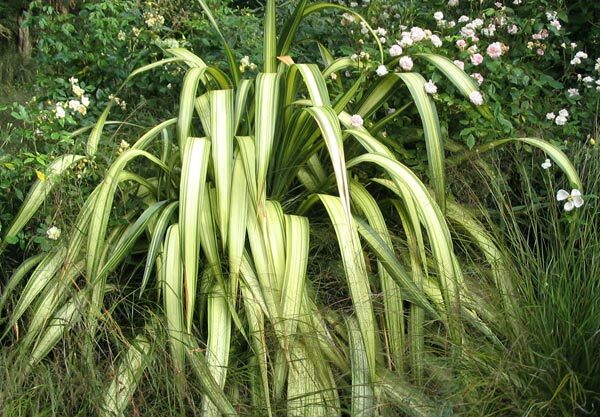 One species, Phormium Tenax (a boring dull olive green) is supposed to be tall and stiffly upright, with interesting flowering stems in late spring. The other species is gracefully droopy, while perfectly proportioned - a fountain of living green, called Phormium Cookianum. Thus, from the habit of the baby hybrid flax one can expect a certain style of growth in later adult plant life. My pink-toned bargain bin beauties simply haven't behaved - most have reverted, slowly and sneakily, to their species parent. First just a few leaves have lost the stripe and the droop, sticking straight up, a plain dull green. Nothing to worry about, little to be done. Aargh! Raising youngsters was never this tricky! 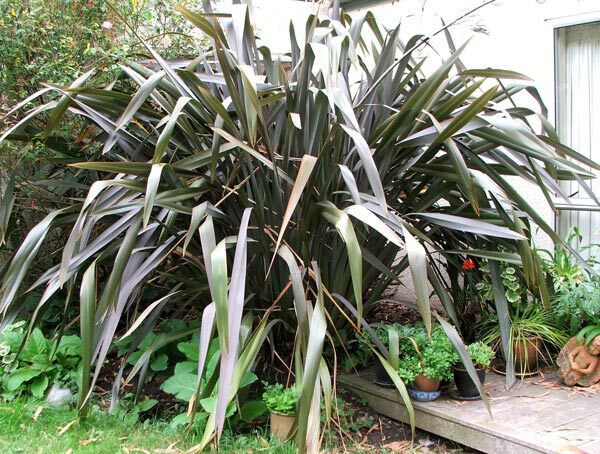 Suddenly, in the blink of an eye, I am offering garden room to yet another dull olive green, oversized teenage Phormium Tenax. One path has already had to be shifted twice. Flax leaves are slippery underfoot, and tend to trip up unsuspecting visitors. It's not easy to float gracefully past a wet flax. The lawn mower man refuses to mow nearby. Flax leaves are extremely tough, and have a nasty tendency to wrap themselves around mower blades. They are also wretched burners, and destroy chippers and shredders. Then I lose yet another kitchen knife trying to groom the wretched plant (old flax leaves are unsightly brown, and impossibly tough to remove). This relationship is on a decidedly rocky road! So now I have stripeless, colourless, oversized lumps of species flax knocking over garden visitors. What did I ever do to deserve this? I am most unlucky in love. Then a winter snow dump, heavy and wet, finally tips me over the gardening edge. My stripeless, colourless lumps have been fattened and flattened by the snow, and are now twice the wrong size. Aargh! It's over! I have fallen terribly, irretrievably, and somewhat sadly out of love. But as a tiny insurance policy, if I really miss those strappy leaves in that particular spot, then I am allowed to purchase a properly labeled modern hybrid - of course, there've been great advances in flax breeding - provided that I am prepared to strike at the very first sign of naughtiness. Cream Delight, Yellow Wave, Jester, Pink Panther, and Merlot - that means all of you! Hee hee! Now guess what rhymes with flax? Ha! Axe!